On a cool September morning, Dhanjeet Baishya went out to meet his friends in his village on the foothills of the eastern Himalayas close to the Indo-Bhutan border in Assam’s Udalguri district. That was the last time Sabitya Baishya saw her 24-year-old son. A few weeks ago, words reached the village that Dhanjit has joined the United Liberation Front of Asom-Independent (ULFA-I), waging an armed war for Assa­m’s secession from India. At the birthplace of the militant organisation in Tinsukia district, hundreds of miles east of Udalguri, ULFA commander-in-chief Paresh Barua’s nephew, Munna Barua, 24, also joined the outfit, this November. In between, at least 15 youngsters are confirmed to have joined the banned outfit and are now said to be in ULFA’s camps in Myanmar. Among these new recruits is a Class X student, Karishma Mech of Tinsukia district. There are unconfirmed reports of dozens of others joining ULFA, underscoring fears that the militant organisation, alm­ost written off as dead and gone, is showing signs of revival. This also raised fears of renewed bloodshed in the state. But beyond the all-too-familiar story of militancy in the Northeast lies what many believe to be the real reason for the renewed appeal of arms to the youth of Assam. “It’s only because of the Citi­zenship Amendment Bill,” says Anup Chetia, the general secretary of an ULFA faction which came ‘overground’ in 2015. “The bill shouldn’t have been brought at all. They (government) didn’t respect the sentiments of the people. 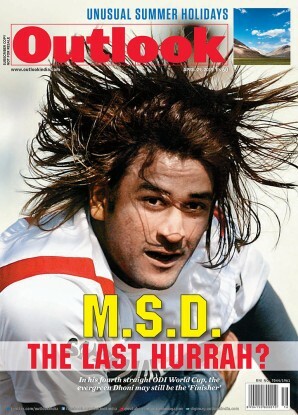 It’s already very late…,” Chetia adds. The contentious bill, tabled in Parliament by the BJP-led government in 2016, aims to ease the process of granting citizenship to non-Muslim migrants—from Afghanistan, Bangladesh and Pakistan—who came to India before December 31, 2014. For a majority in Assam, this goes against the spirit of the 1985 Assam Accord, which marked the end of a six-year agitation against illegal migration from Bangladesh. Under the accord, the Centre has to detect and delete from the voter list and deport all who entered Assam after March 1971. Also, many are angry against the BJP, which stormed to power in Assam mainly on the promise of deporting all undocumented immigrants from the state. “By trying to distinguish between illegal immigrants on the basis of religion, the BJP has betrayed the state. It’s unacceptable to us. We will all join the ULFA to protect our land, our race…,” says Abhijit, a college student in Guwa­hati who gave only his first name. The BJP, facing mounting criticism, denies links between the proposed law and ULFA’s revival. “It’s not that there has not been any recr­uitment in ULFA all these years. It’s difficult to say that these things are happening because of the bill. 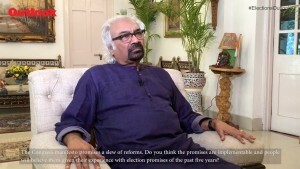 Besides, gun and viol­ence cannot bring solution to any problem,” says party spokesperson Rupam Goswami. The controversy over the bill arose amid another contentious exercise, updating the National Register of Citizens (NRC) to identify “genuine Indian citizens” in Assam. The NRC update is expected to weed out lakhs of undocumented immigrants who have allegedly managed to include their names in the voter list and other citizenship documents. The final draft of the NRC, published on July 30, included 2.89 crore people out of 3.29 crore applicants. There are allegations that even the NRC may not solve Assam’s problems as a large number of “illegal immigrants” have allegedly managed to include their names in the document. The bill has only deepened fears that the indigenous population will turn into a minority in their own homeland. “All poli­tical parties have indulged in vote-bank politics (on the issue of illegal immigration). The fear of the indigenous populace is not unfounded. Assam cannot be allowed to be a dumping ground for illegal immigrants using the CA Bill,” says Bedabrata Borah, a Bangalore-based Assamese businessman and self-confessed BJP supporter. “The BJP government is now viewed as just another regime like the AGP and Congress that is insensitive to the locals,” adds Borah, 50. Many youngsters have joined ULFA, including group’s chief Paresh Barua’s (above) nephew this November. Officials say the bill is one of the reasons of the renewed interest in the ULFA-I, which allegedly carried out a recent attack on Bengali-speaking people in Tinsukia district, killing at least five. The outfit has denied its hand in the violence. “Definitely the number (of people joining ULFA) has gone up. And the citizenship bill angle is one of the prime reasons…Since September, at least 11 youngsters have joined the outfit,” says Pallav Bhattacharyya, the director general police (special branch). He, however, blamed the media for creating a hype over the issue, which might have encouraged the youth. Police claim to have stopped 11 others from joining the outfit. Former Assam police chief G.M. Srivastava identifies the bill as a catalyst for the ULFA’s revival. “A section of the youth in upper Assam, especially in Tinsukia and Sivasagar, still consider Paresh Barua and Jivan Moran (ULFA leaders) as their heroes. But the youth joining from lower Assam is unusual…That is worrying. Even an AASU leader has joined and I’m told that some of his close aides too have joined from that area. It’s a confused state of affairs. This is because of the bill. It has created confusion and uncertainty,” Srivastava says. As resentment against the bill grows—which has seen dozens of social organisations stage protests and even call a statewide bandh—Supreme Court lawyer Upamanyu Hazarika is pushing for constitutional safeguards for the indigenous people based on the 1951 cut-off date, which determines Indian citizenship for the rest of India. Hazarika, convenor of a forum against infiltration, says the youth have lost faith on the government and the system. “It’s a failure of leadership. The citizenship bill is one factor besides the overall layer of insecurity…besides, there’s wholesale encroachment of migrants in lower and central Assam. These all add up to a trigger point,” Hazarika adds. Back in Naharbari, Sabitya Baishya is desperate to see her son, who worked at Assam Bhawan in Delhi before he returned home. But only to go out again, this time without leaving an address. “I kept waiting in hope…I just hope he is safe,” says Sabitya, who lost her husband when Dhanjit was an infant. 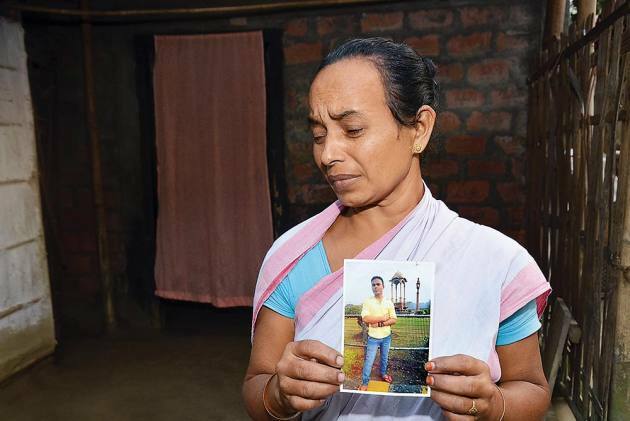 In adjoining Borjhar, Pradip Deka, a 60-year-old far­mer, hopes that his second son, Jay­anta, will come home from the “jungle”, a eup­hemism for the ULFA camps.